Choeng Mon Beach is located in a very secluded part of Koh Samui, up on the northeast corner of the island, among a series of small bays, most of which have been given over to private residential developments. 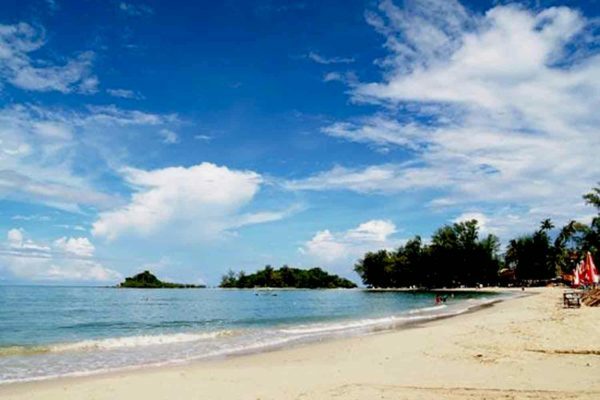 Of what remains in the area, Choeng Mon is the most popular and has the widest range of resorts and bungalows. A very pretty beach, Choeng Mon is popular for watersport activities as well as just lazing around, and, while there’s at least some shade on most of the beach, in the middle of the day it can be a bit anvil-under-the-sun like, so don’t forget your sunscreen. Just offshore sits the islet of Ko Farn Noi – within reasonably easy kayaking distance of the main beach. Accommodation is mostly mid- to upper range, though there are a couple of semi-budget choices catering mainly to flashpackers. As for eating, while many choose to eat where there stay, there is a smattering of restaurants just off the beach, near the Choengmon Buri Hotel. For a larger selection of restaurants and bars, you’re better off heading into Bophut or Chaweng. Despite its proximity to the other beaches as the crow flies, Choeng Mon isn’t so handy when it comes to public transport – songtheaws do pass through here, but not as frequently as you’d expect, so unless you plan on dropping a load of cash on Samui’s overpriced taxis, you may want to consider hiring a car or motorbike for the duration of your stay.